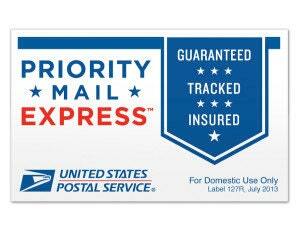 The current listing is a shipping upgrade to PRIORITY MAIL EXPRESS from First Class Mail service that is currently applied to all of my listings. The service is available for USA orders only. This service is the fastest USPS service with overnight delivery on business days to most US addresses. Tracking number will be provided with $100.00 insurance coverage. To upgrade this service, simply add this item to your shipping card and process your order. If you have any question, please convo me.